Congratulations to the staff at the Guernsey Press which is celebrating its 200th anniversary this weekend. 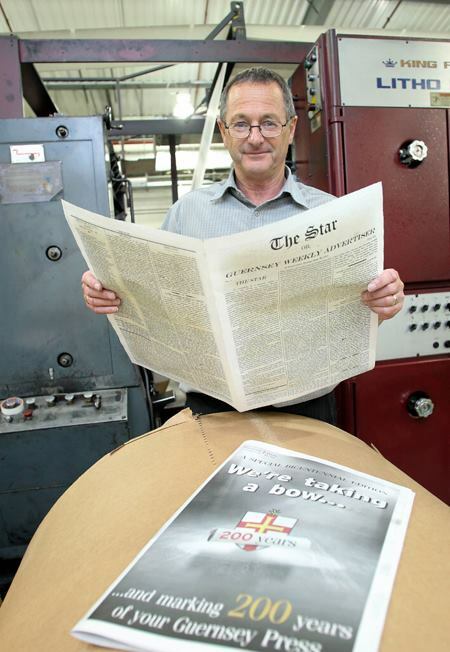 Tomorrow it will be publishing a special souvenir issue, including a replica of the first issue from 1813. 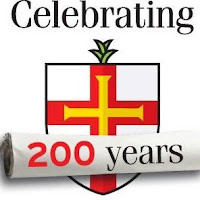 There is a smashing news clip from Channel TV featuring editor Richard Digard and assistant editor Suzy Heneghan here and loads of great images on its Facebook page. 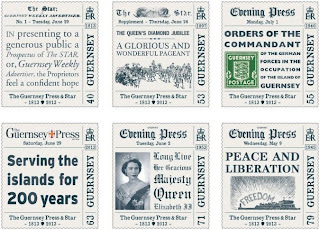 And, just to underline how important the paper is to the island, the Guernsey Post Office is issuing a set of six stamps to commemorate the occasion. Details here. 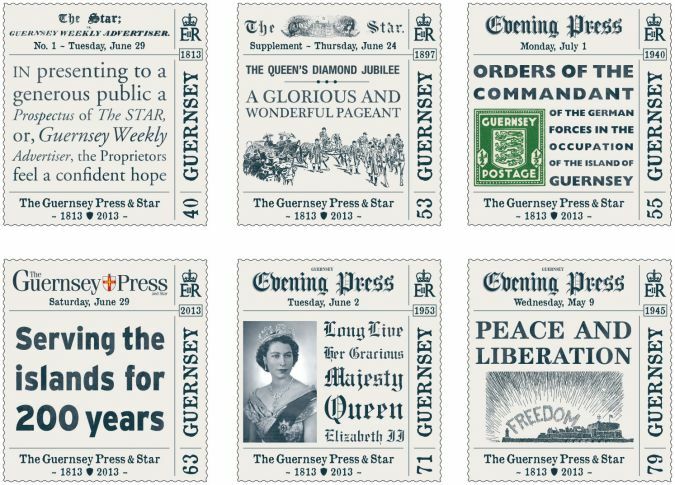 The Guernsey Press (and Star) is one of the regional newspaper industry's success stories. 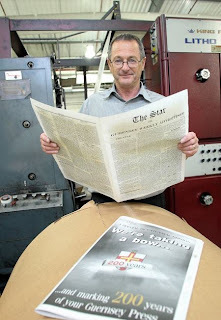 In 1996, when I first visited the paper, it was selling an average of 15,847 copies a day. In the last ABC figures it was 14,794, down by -1.5 per cent year on year. How many other UK daily titles can claim such a sales success over the last 17 years? And given that the population of the island is 60,000 - how many can claim such a high penetration? Richard puts that down purely to the strength of the community. That has certainly been a major factor - but he is being modest. The Press has long invested in its people and its paper. 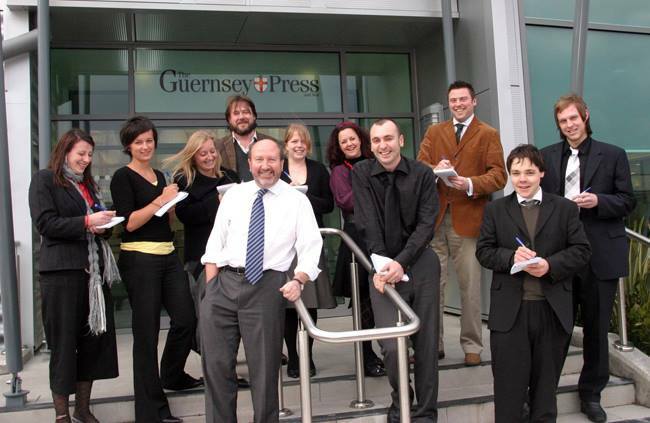 Me with the Guernsey Press school of journalists from 2006. 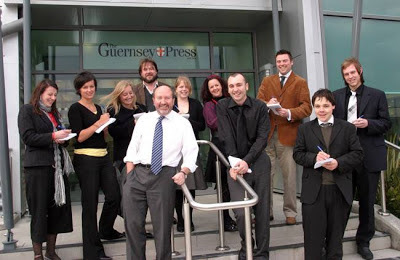 Left to right: Nikki Martel, Rebecca Wightman, Gemma Hockey, me, Shaun Shackleton, Aimee Le Cocq, Zoe Ash, James Falla, Aaron Scoones, Phil Henderson and Simon Tostevin. 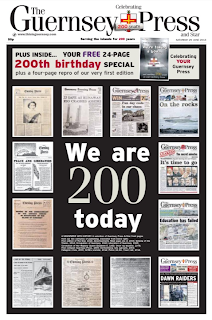 I helped it turn from broadsheet to tabloid in 1999 and redesigned the paper again in 2007. I also helped it set up its internal journalism training programme. In all of my many visits what struck me was the commitment, right through the organisation, to quality. It shows in its building and its press investment - but mostly it shows in its journalism and the standard of its paper. Richard and his team simply refuse to compromise when it comes to good journalism. They have steadfastly campaigned on behalf of the island and been prepared to tackle those in power when they needed to. 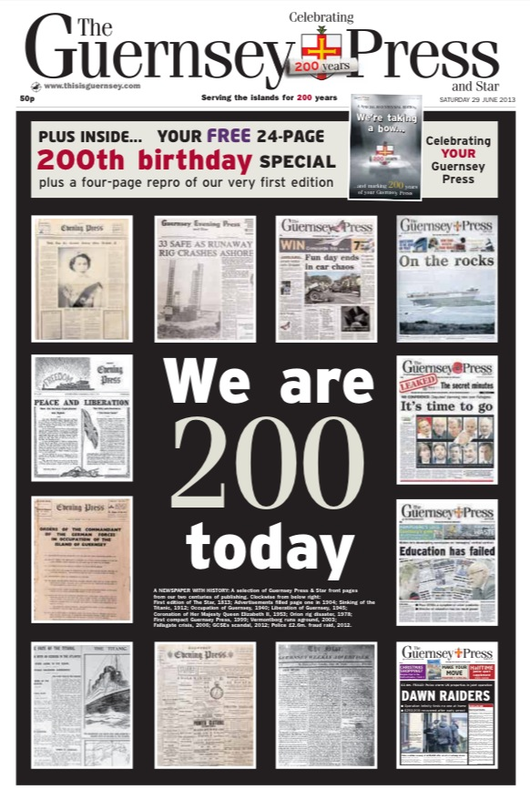 The Press is a first class example of how a regional newspaper can thrive, even in these difficult times. And apart from all that they are a really nice and hospitable bunch. I wish them well as they celebrate the start of their 201st year. I am sure the Sancerre will be flowing.